It is a great grievance of mine that Science Fiction and Fantasy are often seen as lesser genres to literary fiction, or that if you write in a literary style you cannot appeal to audiences of these genres. To me, these views are utterly false. Thankfully, I think Karen Thompson Walker would probably agree, and neither of these quite popular views seem to have held her back when she created her extraordinary first book, The Age of Miracles. Set in the near future, The Age of Miracles explores a world in which the planet Earth has begun to slow on it’s axis, and the experience of this by Julia, an American teenager. It’s a fantastically wrought piece, unfolding beautifully and eloquently across the pages. It’s almost oppressively anxious, without directly expressing much fear. The characters emotions are imparted obliquely and concisely, leading up to the final sentence with absolute poetic clarity. This is a book to read if you want to feel human. The narrative operates on multiple levels, from being a straightforward, semi-dystopian novel, to a metaphor for teenagehood and growing up. It’s description and setting are eloquent, though not as in depth as I often like to read, but this is a book read for the characters and the humanity, not the world-building or descriptive integrity. In that respect, it’s on the opposite end of the scale to McCarthy’s The Road, yet it’s still a masterful sand box for human nature. Gripping and stunning, this haunting read is a must for all literary and science fiction fans. I can’t believe it’s Walker’s fist book and I can’t wait to see what she comes up with next. 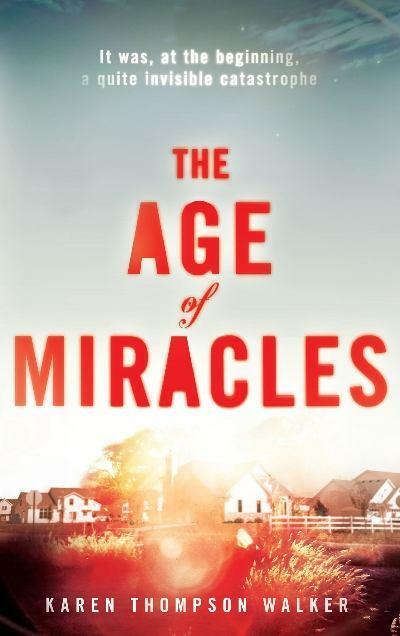 The Age of Miracles was first published in the UK by Simon & Schuster in 2012. It is available in Paperback (£6.99), Hardback (£14.99/£20.99 large type face) and Audio CD (£20.51) from Blackwell’s.